RLJE Films (NASDAQ: RLJE) will release the thriller/drama film GALVESTON on DVD, Blu-ray and 4K UHD/Blu-ray combo on December 11, 2018. 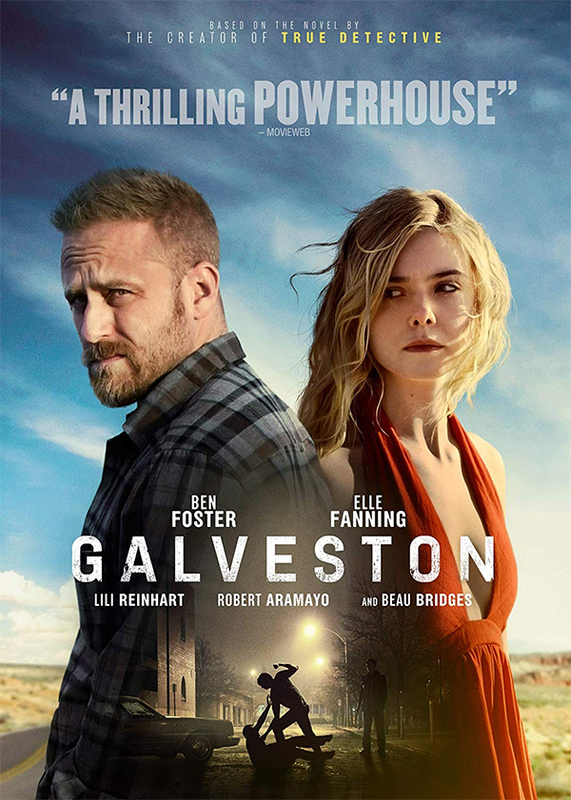 Based on the novel by the creator of “True Detective,” GALVESTON features an all-star cast including Ben Foster (Hell or High Water), Elle Fanning (The Beguiled), Beau Bridges (The Mountain Between Us), Lili Reinhart (“Riverdale”), and Robert Aramayo (Nocturnal Animals). The film made its world premiere at the 2018 SXSW Film Festival and was directed by Mélanie Laurent (Inglourious Basterds) from a script by Jim Hammett. RLJE Films will release GALVESTON on DVD; on Blu-ray; and on 4K UHD/Blu-ray combo.